October is Breast Cancer Awareness Month, and we just thought that sharing information about it may help and/or save someones life. More common than not, breast cancer is found in women but men can have it as well. That is why we urge you to self exam yourself and get tested. 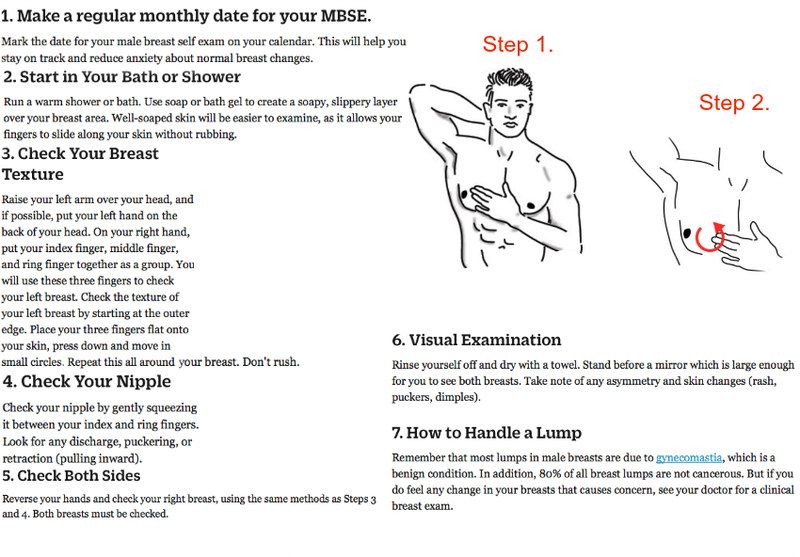 There a many types of breast cancer, so please educate yourself by clicking this link. Men who are at high risk you should have exams done every 6 to 12 months at age 35. Women should have mammograms starting out at age 40, unless you are at high risk then you may need to have your screening earlier.